An inexpensive and better USB-C replacement AC adapter for the 12-inch MacBook with a Type-A port. It's also an option for new MacBook Pros. 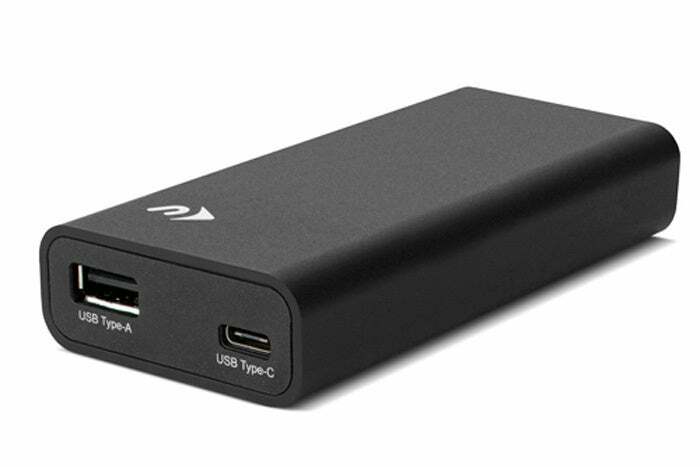 The NuPower 60W USB-C Power Adapter just released by NewerTech is the first I’ve seen that offers more than just providing power to a laptop equipped with charging via USB-C. 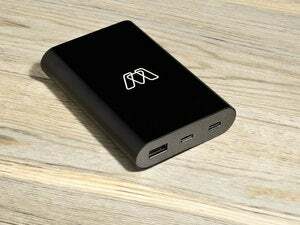 It combines a USB-C port that can feed up to 60 watts and a Type-A port that offers up to 2.4 amps at 5 volts for mobile devices. This combination eliminates the need for a dock or adapters when your primary need is to charge the laptop and a mobile device simultaneously, as with a 12-inch MacBook or a newer MacBook Pro. The NuPower also includes a six-foot AC cord, which is a $19 add-on to Apple’s included adapters. The advantage of the USB-C (Type-C) format that Apple has adopted for its 12-inch MacBook and all new MacBook Pro models is versatility: the same port can handle all kinds of data protocols as well as provide power to recharge high-capacity laptop batteries. But Apple hasn’t capitalized on the power side of this much, which makes room for third-party adapters, like the NuPower. At 60W, the power adapter can power a 12-inch MacBook, which requires 29W, and have charge leftover for up to 12W via its Type-A connector. A new 13-inch MacBook Pro requires 61W to charge at full speed, and 60W reduces that ever so slightly. NewerTech says if a Type-A device is also plugged in, it gets priority, but even at a full 12W draw, as with a newer iPad, that should allow a MacBook Pro to keep up. The 15-inch MacBook Pro requires 87W, which will work with the NuPower adapter as well, but it’s not as good a fit. In testing, the adapter worked just as expected with two full-power draws (a 2015 12-inch MacBook and a 9.7-inch iPad Pro). The main body of the adapter is compact, has a nice finish, and has rounded edges. The AC cord is removable. NewerTech includes an 18-inch USB-C charging-only cable as a more compact alternative to the six-foot cable Apple provides with its USB-C laptops. From a price perspective, the adapter is a bargain at $49. Apple’s replacement 29W adapter for the 12-inch MacBook models costs $49, and it’s another $19 to get a six-foot AC extension. A 61W adapter for the 13-inch MacBook Pro costs $69. Because the charger is standards based, it also works with any non-Apple USB-C devices that supports basic charging up to 3A at 5W, and several higher-wattage USB Power Delivery flavors: 6A at 5V (30W), 5A at 9V (45W), 4A at 15V (60W), and 3A at 20V (60W). Unfortunately, this doesn’t include either model of iPad Pro connected via the Lighting to USB-C cable Apple offers. While those cables work with Apple’s adapters, they’re not supported with third-party USB-C power adapters, including the NuPower in my testing. With two ports, higher overall wattage, and a six-foot AC cable included, plus a backup USB-C charging cable, the NuPower 60W USB-C Power Adapter is an ideal replacement or travel adapter for a 12-inch MacBook, and a reasonable choice for a 13-inch MacBook Pro. This story, "NuPower 60W USB-C Power Adapter review: Simultaneously charge your MacBook and iPhone with one adapter" was originally published by Macworld.